In January 2015, Reykjavík City started a project titled Together Against Violence in cooperation with the Capital Area Police Department, the Women’s Shelter in Iceland and the Health Centres in the Capital Area. Research and several surveys done in recent years on violence in Iceland against both women and children have increased knowledge of the nature, extent and consequences of gender based violence. That again has provided the Icelandic government and the municipalities with the opportunity to systematically fight violence. A survey on violence showed that around 42% of women in Iceland over the age of 16 have experienced threats, violence, or sexual harassment that caused them distress. Judging from the results of this study, the violence was often serious. The survey revealed that 22% of the women have experienced violence in close relationships; of this group, 26% said that their life had been in danger during the last violent incident, and 41% said that they had suffered physical harm. The World Health Organisation has listed numerous consequences of gendered violence, including physical pain, increased frequency of illness, depression, post-traumatic stress, sleeping problems, various mental illnesses, increased incidence of suicide attempts, alcohol and drug abuse, and deaths, to name a few. The aim of the project Together against Violence is to send a clear message that domestic violence will not be tolerated, to improve the city’s services to both the victims and the perpetrators of domestic violence and to strengthen cooperation between the institutions that work on the issue. Emphasis is placed on taking appropriate measures as soon as violence in close relationships is detected. As a part of that measure a social worker accompanies police officers to the scene when domestic violence is reported, and if the people living there accept their visit, the visit is followed up with a phone call within three days and by a police visit and the welfare department/social worker within a week. If there is a child registered at the home where domestic violence is reported, a psychologist or social worker on the behalf of the child protection department visits the home as well as a social worker/psychologist working for the welfare department. Special focus is being placed on women of foreign origin and women with disabilities in this project. The Reykjavík Human Rights Office oversees the project. 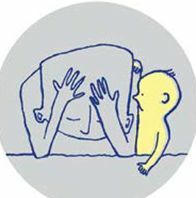 An evaluation report of the project has been published in Icelandic by the Institute for gender, equality and difference, University of Iceland. The evaluation is based on interviews with the staff working with the guidelines of Together Against Violence as well as with several victims/survivors of the domestic violence cases that surfaced in Reykjavík during the length of the programme. According to the evaluation, there was an increase of reported domestic violence cases in the wake of the project‘s launch. 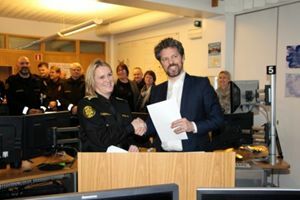 In the first half of 2015, the Reykjavík capital area police department experienced a steep increase in reports of domestic violence, adding up to a total of 264 cases. Dispute cases also increased to 334. Meanwhile, the City of Reykjavík processed 78 cases. The evaluation is positive on a whole. Collaboration between the police, social services and child protection services of Reykjavík city has been good and work guidelines and protocol has improved steadily during the project‘s lifetime, as staff has adjusted to new ways of working. The staff is happy with the project and its results, speaking of a necessary change in responses to domestic violence. Case processing has improved a lot and a clear message is being sent that domestic violence is not tolerated. The cooperation between the police and child protection services was considered especially beneficial as it reduces the incidents of police staff responding to situations they are not fully trained to respond to. All victims/survivors were happy with the response from the police and social services on site. Several of them however didn‘t get the follow-up they needed that had been promised from the social services, in accordance with the new guidelines. Criticism of the project from the staff concerned the lack of space for independent judgement in responding to domestic violence cases, because the protocol was strict. They reported a large variety of cases and said that most of them did not fit the stereotype of domestic violence cases. In some cases, the victim/survivor was male, in which case there was a lack of resources for proper response. Restraining orders have increased since the project‘s start, which most staff participants considered a positive development. The evaluation includes a list of recommendations for further improvements on responses to domestic violence. *Many thanks to Anna G. Björnsdóttir of the Association of Local Authorities in Iceland (SAMBAND) for providing information for this good practice.